The this operator is used to refer the current object. In general, this refers to the calling object in a method. propertyName: The name of the property. 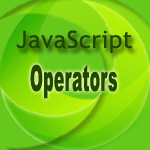 In the following web document, this operator is used as internal reference property of the form instances.